WELCOME ! Our primary interest is in 1950 and earlier airframe and aircraft armament system parts. If you don't find it here, contact us and we will do our best to find it for you. New- USN WWII electrical junction boxes and Eclipse Aircraft Starter Energizer Manual T-handle Starting Switch! NEW! Large collection of 1930's to 1950's Aircraft Radios AIRCRAFT RADIOS! Airframe restoration materials, hardware, and original aircraft airframe components. UPDATED L-19 AIRFRAME PARTS! AIRCRAFT PROJECTS FOR SALE. Are you feeling ambitious? 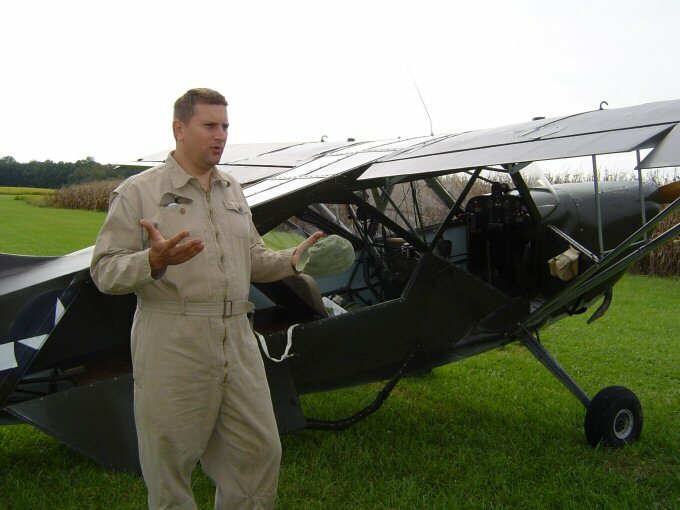 Pre-Pearl Harbor Aeronca Chief Project! UFO's. Parts that are not identified and will probably find a home if we can figure out what they are. WWII Vought Sikorsky parts! Fuel System Components DROP TANKS! Hydraulic Parts and Equipment. Landing gear, armament, and aircraft hydraulic system components. RARE HYDRAULIC HAND PUMPS! Powerplant parts, generators, cylinders, engine accessories Oil coolers, T6 oil tanks, much more! Instruments, instrument fittings, and items relating to cockpit controls and indicators. NEW- B-24 LIBERATOR FUEL TANK SIGHT GLASS GAUGES! Background: VICTORY! Formations of US Navy aircraft flying over the Battleship Missouri just before the arrival of the Japanese surrender delegation in September 1945.